Welcome to the spring 2016 e-newsletter for the College of Mass Communication and Media Arts at Southern Illinois University Carbondale. 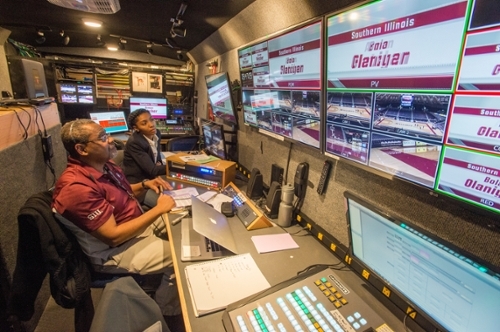 It is four hours before the Saluki men’s basketball team faces Bradley in a mid-February Missouri Valley Conference game at the SIU Arena, and students Sam McGlone and Zachary White are in a 24-foot production trailer working to ensure everything runs smoothly for a nationwide audience later that night. For Tia Rinehart, a junior in the Radio, Television and Digital Media Program, the opportunity to report from the nation’s capital is giving her unique perspectives. For more than four decades, Jak Tichenor has been “home” when interviewing the leading public and political figures in the United States and Illinois. 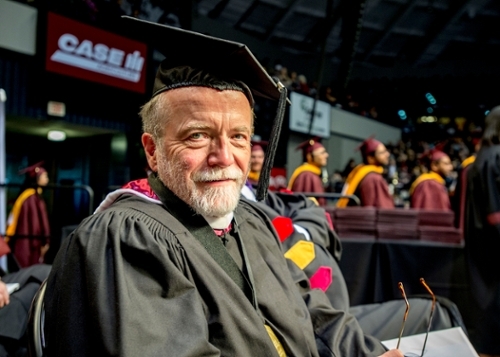 The veteran news broadcaster, public affairs reporter and retired senior producer at WSIU-TV would not have had it any other way. 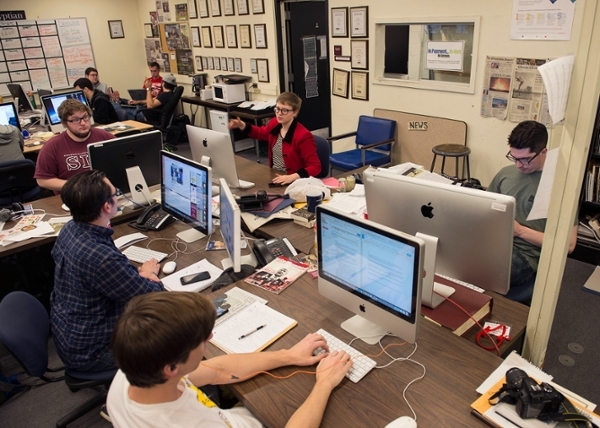 Planning is underway to celebrate the 100th anniversary of the Daily Egyptian, the university’s award-winning student newspaper, during Homecoming festivities Oct. 21-22. Considered by many to be among the pioneers of SIU Carbondale’s radio-television program, Ralph Becker is recognized for two traits: hard work and being a consummate businessman.